Thanks to all who stopped by the stand at the TERMIS-AM meeting in San Diego last week. Having never attended this meeting before we were un-sure of what to expect, but were pleasantly surprised by the welcoming people and great program. There was some cutting edge research and technology on display that was truly impressive. New to the show, and to us, there was a full setup of iPosters on display as well. The interactive displays allowed for videos and sound files, proving to be a great way to present research. The highlight of the program was probably the conference gala held at the USS Midway Museum, just down the harbor walk from the hotel. The USS Midway proved to be just as impressive on the interior as it looks on the exterior! Beneath the decks there is a literal floating city which housed over 225,000 sailors during it’s time in service. 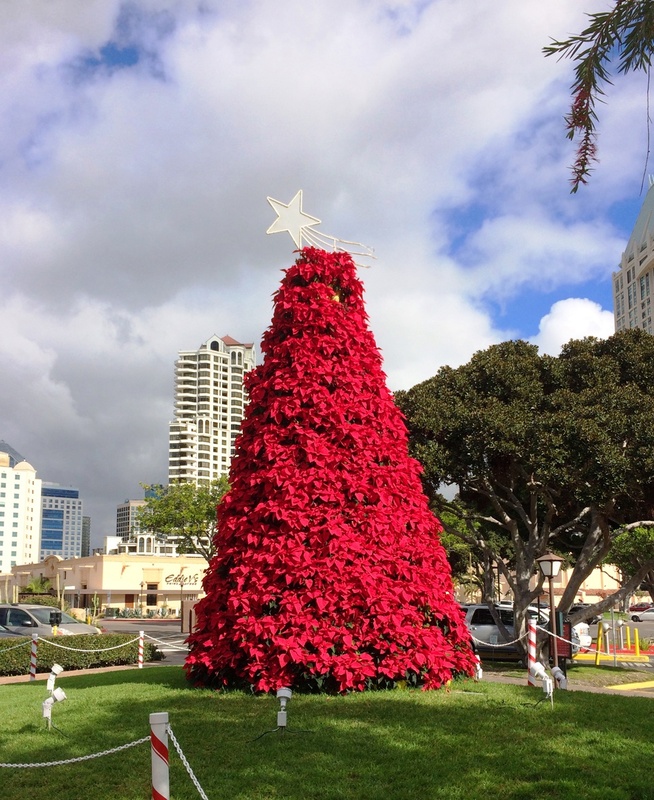 Although we travel to San Diego quite often for congresses, this was one of the first times that we’ve been in the city close to the holidays. I imagine that hearing Christmas songs playing while enjoying a warm walk by the marina was a different experience for a lot of the attendees, but we didn’t hear anyone complaining! It was nice to see the city embrace the holiday spirit in their own unique way with poinsettia Christmas trees and the decorated boats in the harbor. Hopefully everyone has a safe trip home and maybe we’ll see you at Charlotte in 2017?